Cypriot antiquities for sale, mostly pottery from the Bronze Age and Iron Age as well as votive sculptures. The strategic location of Cyprus on the edge of the Near East made it an important cultural cross-roads. In consequence the art of Cyprus is among the most varied of the ancient Mediterranean cultures. 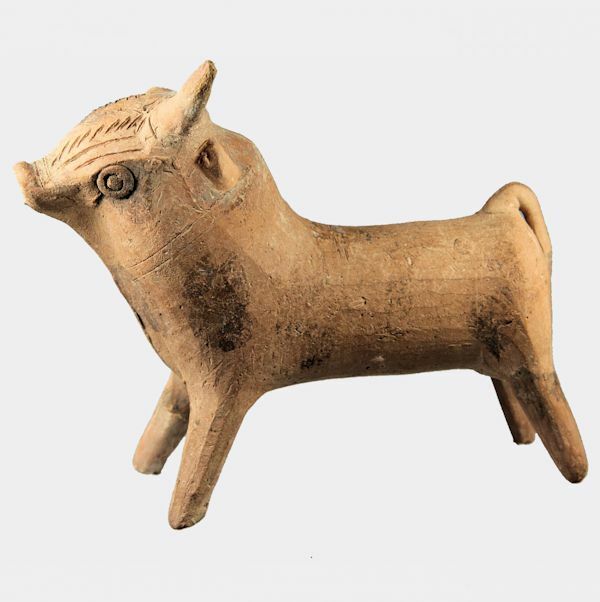 The Cypriot Bronze Age created an astonishing range of artistically advanced pottery. These pieces are not only aesthetically pleasing to the modern eye but also reveal a degree of joy and playfulness rarely seen in ancient pottery.